Bangalore/Mumbai/New Delhi, India ( 18 December 2017) - Lexus India is providing a boost to the Indian design community through the Lexus Design Award India to be held in partnership with the Association of Designers of India (ADI)-created prestigious Pune Design Festival (PDF). The first of the annual awards will be handed out in conjunction with PDF 2018 in February 2018. Prizes include the opportunity to be showcased at the Pune Design Festival, and the winning design prototype will be displayed at Lexus Guest Experience Centers located in Bangalore, Gurgaon, Mumbai and New Delhi. All shortlisted entries will also be featured across Lexus India’s social assets, and the winners will receive trophies designed specially by Michael Foley. First launched in 2013, the Lexus Design Award is an international platform to identify and recognize the next generation of global creators and designers. 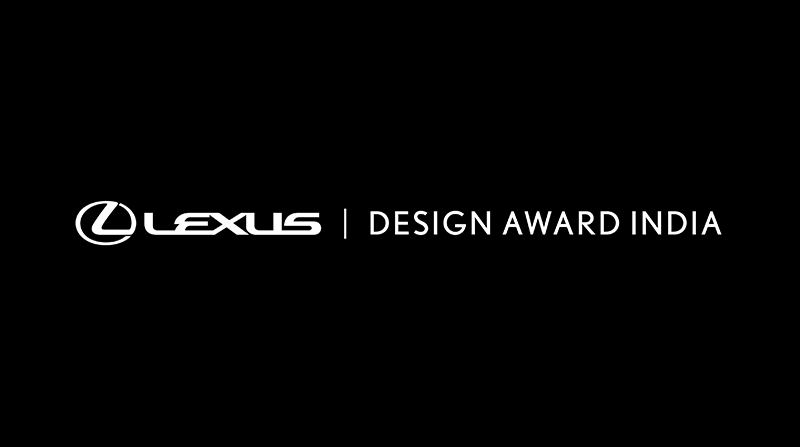 Lexus Design Award India seeks to recognize and reward the best industrial design executed by Indian designers, design consultancy firms and design divisions of Indian companies. The Lexus Design Award India is anchored in the brand’s values of excellence in design, ergonomics, sustainability, technological superiority and responsible consumption. The collaboration with ADI-Pune Design Festival 2018 will see entries judged across a breadth of categories, demonstrating the inclusive nature of the awards and in acknowledgement of the breadth of design talent in India. “ADI is committed to avenues that focus on impact that Design in India generates towards the regional challenges as well from a global perspective. In this context, we at ADI are enthused to be partnering with Lexus to bring the Lexus Design Award platform to the Indian design community. Lexus is a brand that defines excellence in the spirit of design, and by associating with ADI and the Pune Design Festival as a platform, we will be able to showcase and celebrate the best of Indian design minds,” said Ashish Deshpande, ADI, President, National Executive Council, speaking on the collaboration. Details of Lexus Design Award India can be found at (www.lexusindia.co.in/en/discover-lexus/lexus-design-award-india.html). ADI, Association of Designers of India, is a Not For Profit society with vision to be a world class network representing Indian Design community, creating an interface between design professionals, industry, education and policy makers. Pune Design Festival is in its 12th edition since conception and is a flagship activity of ADI, Pune Chapter. Pune Design Festival has been organized every February since 2006 by the Association of Designers of India Pune Chapter. What’s unique about the PDF is its process of co-creation: practicing designers and design professionals met to celebrate design, understand its impact and learn from stories of design change agents across all disciplines.